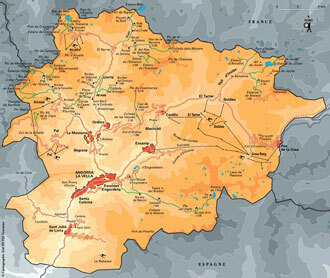 Principality of Andorra is a small country in southwestern Europe, located in the eastern Pyrenees mountains and bordered by Spain and France. is the highest capital city in Europe, being at an elevation of 1023 metres. 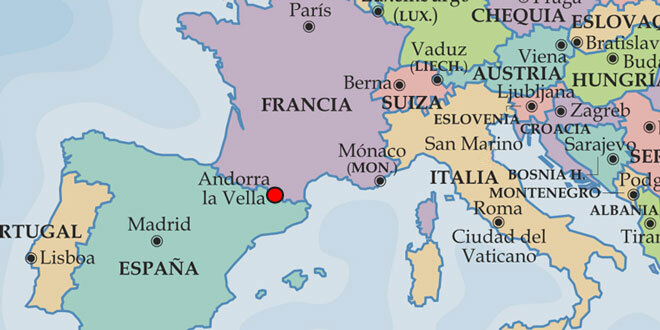 The Principality was formed in 1278. The official language is Catalan, although Spanish, French, and Portuguese are also commonly spoken. The role of monarch is exercised jointly by the two co-princes, the President of the French Republic and the Bishop of Urgell, Catalonia, Spain. 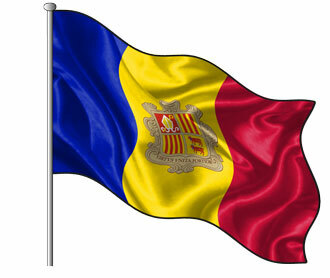 Andorra is a prosperous country mainly because of its tourism industry, with more than 10 million visitors a year. It is not a member of the European Union, but the Euro is the currency used. For more information use the top navigation bar.